Dia Network Diagramming tool is as Basic as one could hope for. 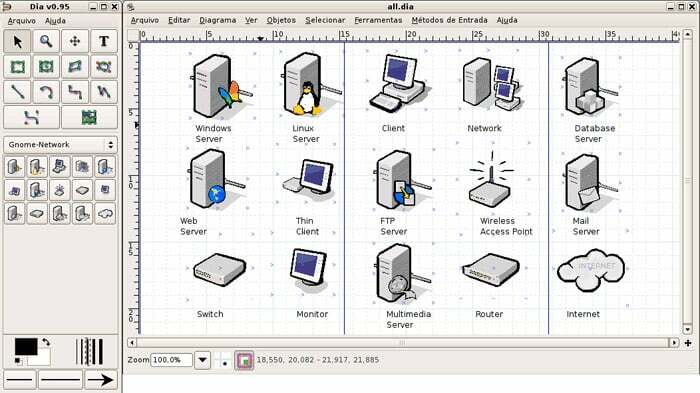 Its functionality is limited to drawing topology's and diagrams of networks, software, websites and more for a low price of FREE. 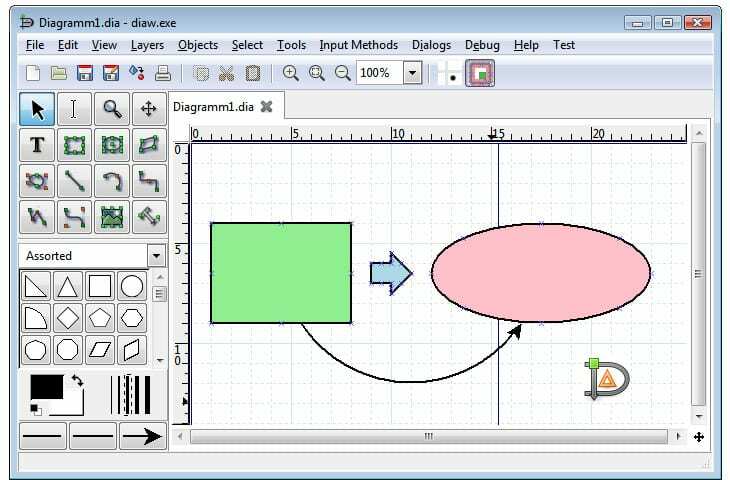 This is a no-frill's kind of software that allows you to draw quickly and hopefully, efficiently. Functionality includes the ability to install on Linux, Windows & Mac OSX if needed. The inclusion of Linux installation has many open source administrators very happy. Great Cross-compatibility between Windows, Linux and Mac OSX operating systems. This software is easy to use and ready to go right after installing. The layout is VERY basic, no Ribbon menus or anything like that. No Automatic Network Scanning ability like other diagramming tools. Very basic Components. Very Basic tool for Diagramming networks, software and creating any type of small scale diagrams and presentations.